Whether your objective is to grow an audience for your blog, sell a product, or provide a service, you first need to build trust. If you want people to come to you for your travel tips or sign up for your online course, you need to give them a reason to choose you over the sea of other options out there. It sounds like this could be quite the difficult task, huh? Well, that’s not necessarily the case as long as you’re willing to put in the effort. If you’re ready to open up and be transparent, not only about your brand but also the person or people behind the brand, you’re going to have a lot more success. People respond to people – it’s that simple. 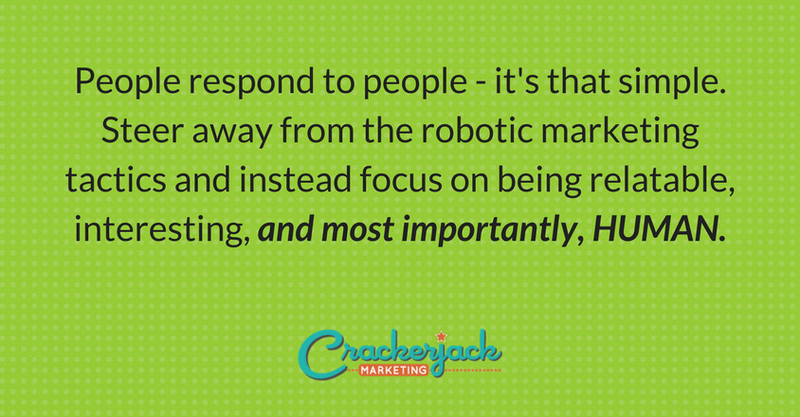 Steer away from the robotic marketing tactics and instead focus on being relatable, interesting, and most importantly, HUMAN. Have you ever visited a blog and noticed that an “admin” created all of their posts? Who is this “admin” you speak of and do they have a name? Appearing mysterious is just not going to work in your favor in this scenario. Your audience not only wants to understand the “why” behind what your brand is doing, but they also want to get to know your brand itself and the people behind it. It’s crucial that you display and maintain a consistent voice for your brand that makes you relatable. We all enjoy being able to take a peek into how companies run and who it is that runs them – especially before we hand over our hard-earned money. This openness makes a brand human rather than seen as a faceless person or organization. Humanize your brand by putting a face to a name while connecting over ideas that others can believe in and easily understand. An excellent way to ensure that your brand has an accurate voice is to assign it a particular personality and style for delivery and interaction. Imagine that your brand is one specific individual, even if multiple people are running the show. What is the framework of this person? Are they very formal and professional, or are they laid back and playful when connecting with an audience? There’s a lot that goes into a personality, but asking yourself these types of questions will help create an avatar for your brand that will help you or your team easily maintain that persona. When everyone involved with your brand is on the same page, your message will be portrayed accurately, regardless of who’s doing the talking. Whether you’re sharing original content, curated content, or a combination of both, be sure to share things that are relevant to the people you’re trying to reach. Inspire them and encourage them to ask questions and engage in conversation; these interactions will give you lots of “human” bonus points! Your audience will feel a magnetic pull towards you because they will see that you care about them past scoring a sale or gaining more traffic. Provide value outside of the personal achievements that you share. Listen and learn from the conversations that you have online with your audience and encourage them to share their own stories and opinions as well. There’s a story behind that company name, product, and journey, so share it! Transparency creates likability and gives people a reason to want to keep following and supporting you. 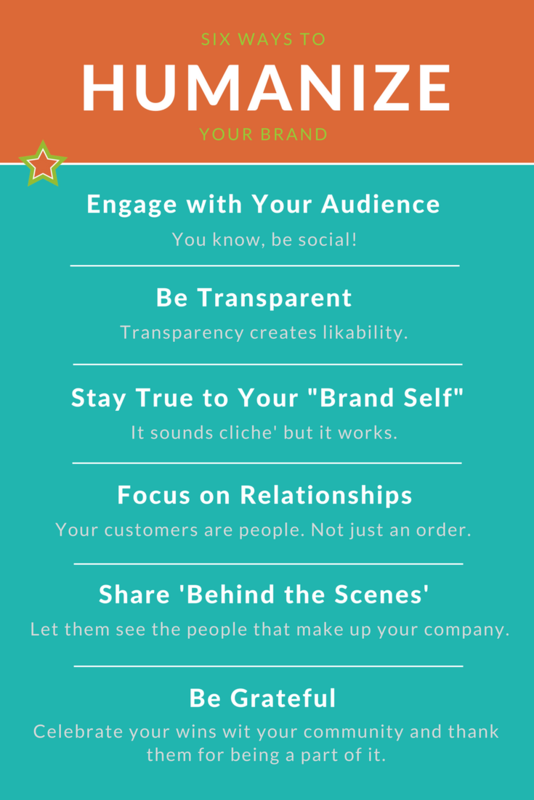 Be sure to stay relevant and tie the stories that you share in with your mission and brand values. Always come back to your “why” and share the things that push you, fuel you, and keep you going. It may sound cliche, but just be yourself. You have to be willing to open up if you expect others to understand and connect with who you are. Let your audience be a part of your journey, and be humble enough to share the good and the bad with them. They will be just as interested in hearing about your struggles as they will be to hear about your wins. Let your brand personality shine through all that you do, and speak in a way that suits and supports you and your brand. 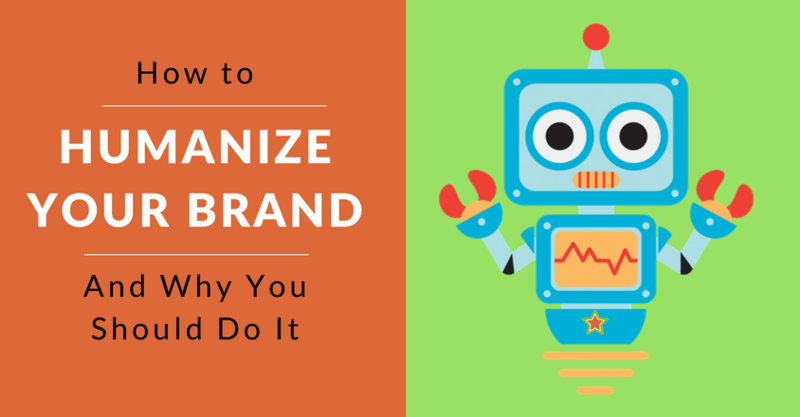 When you remain true to your “brand” self, it’s much easier to project the same voice and personality for your brand anywhere that you decide to take it. Social media is consistently changing. Though Facebook and Twitter don’t seem to be going anywhere anytime soon, connect with people as actual human beings, and they are very likely to follow you wherever you go, regardless of the platform. Social media is an essential and highly beneficial tool for interacting with your audience, so put in the time to get to know them on a personal level. We’ve talked about going “behind the scenes” in terms of social post ideas but this is also an excellent opportunity to highlight all of your team members that make up your brand. If there’s someone in particular that represents your brand (whether that be you or someone else), share their stories and how it connects to the brand, or highlight some of their volunteer service or recent accomplishments. You’d be surprised at how much people want to connect with your brand and anyone who’s a part of it in a genuine, human way. Share suitable pictures, videos, and experiences that you and your team share on and off the clock on your blog and social media. When you are celebrating your wins, be sure to thank the people that support you and help you accomplish them. Your audience will subconsciously be emotionally invested in your success since they will see their role in it and how they’re appreciated. Everyone likes to feel like a part of something bigger than themselves. Regardless of the industry, it’s in every brand’s best interest to connect with their audience on a human level. It’s a competitive world that we live in, and to have the success and engagement that you desire you need to put in the work and build genuine relationships with people. Share your brand’s personality with the world and give them a reason to want to follow and support you for many years to come. Show that you want to grow with your audience rather than separate from them and that you are just like them – a living, breathing human being.